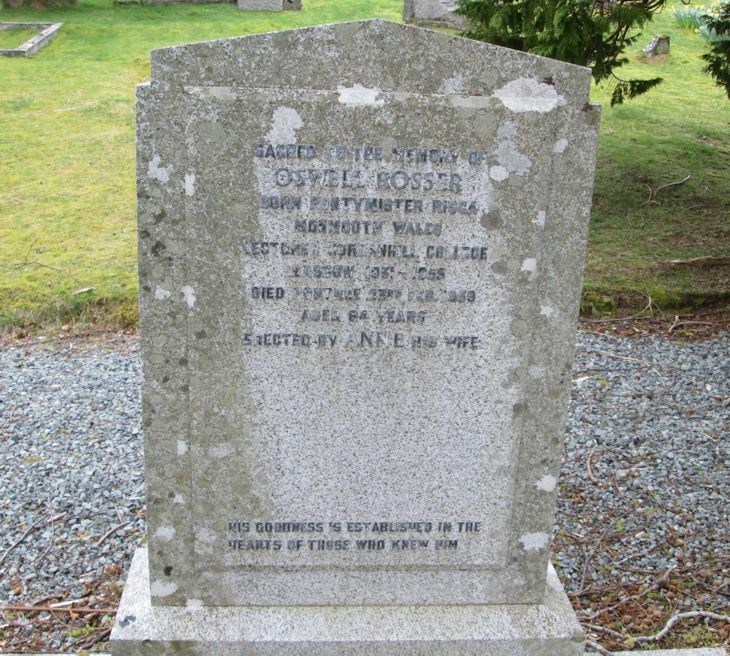 Skye Gravestones | Oswell Rosser. Sacred to the memory of/OSWELL ROSSER/born Pontymister, Risca/Monmouth, Wales/lecturer, Jordanhill College/Glasgow 1931-1959/died Portree 23rd Feb. 1959/aged 64 years. His goodness is established in the/hearts of those who knew him.